Qatar is an independent sovereign country located along the coast of the Arabian Gulf and is ruled by the judicious leadership of His Highness The Emir Sheikh Tamim bin Hamad Al Thani. Its capital Doha hosts the seat of government and Qatar’s commercial and financial nerve centre. The city is home to the country’s main commercial seaport and the newly developed Hamad International Airport. With a current population of 2.7 million, Qatar’s leading-edge vision, together with careful development has led to its emergence as a vibrant, thriving, safe and progressive country with its sights firmly fixed on the future. As host country to the 2022 FIFA World Cup, Qatar is set to spend more than US$180 billion on infrastructure projects alone within the coming decade. The country’s long-term ambition is to be a leader in regional arts, educational and cultural innovation. The Al Mana family, part of Bani Tamim (the tribe of Tamim), originated from Ushager, a village 200km north of Riyadh in the Kingdom of Saudi Arabia. 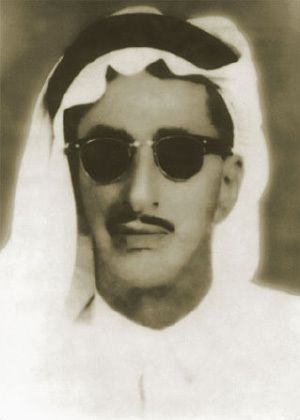 Born in 1912, the late Saleh Al Hamad Al Mana began his merchant life in the Kingdom, later settling in Qatar, where he was amongst the first to introduce and develop a wealth of experience importing and trading in the flourishing peninsula. Saleh Al Hamad Al Mana prided himself on a work ethic based on the philosophy that strong management and personal involvement in the day-to-day activities and operations of the company were fundamental. His hands on approach and humble principles contributed to the business excellence and consumer loyalty synonymous with the group today. Al Mana is a Qatari conglomerate operating over 55 companies in 8 countries and employing over 3500 personnel. Industry activities include automotive distribution and services, real estate and investments, retail, food & beverage, engineering, technology, media and entertainment. The group covers most areas of retail including luxury goods, beauty, fashion, home interiors, watches and jewellery. Operating over 300 outlets, Al Mana represents some of the largest and most successful brands in the world‎. The group is owned and operated by Hisham Saleh Al Mana, Kamal Saleh Al Mana and Wissam Saleh Al Mana, sons of the late Saleh Al Hamad Al Mana, in their capacity as executive directors.